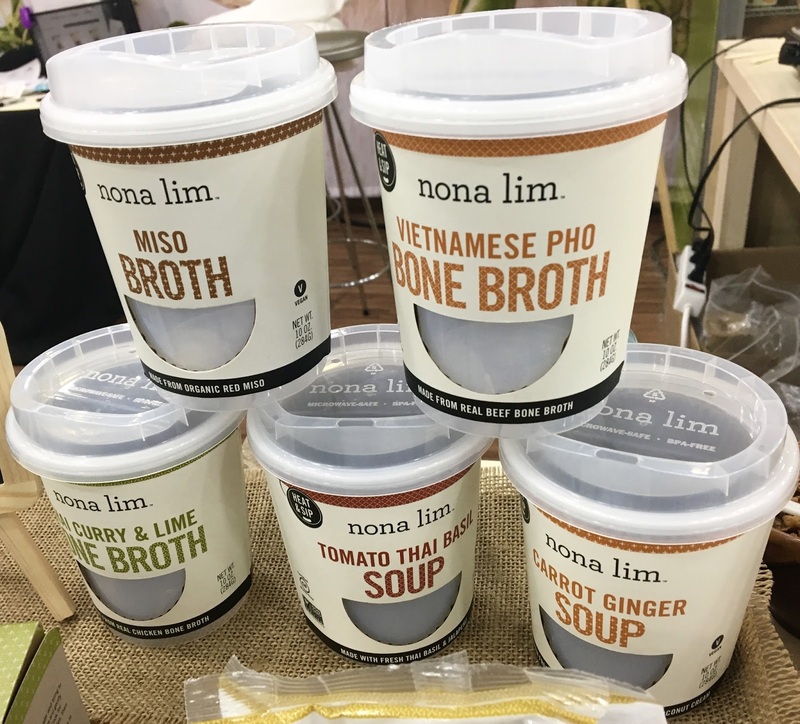 I fell in love with Nona Lim's line of gluten-free bone broth at last year's Expo East, but fell even deeper in love with their latest and greatest packaging: a single-serve microwave ready cup. Keep it frozen until lunchtime, then in mere minutes you'll have a piping hot serving of bone broth or soup on hand. They even have a built-in spout so you can go utensil-free! 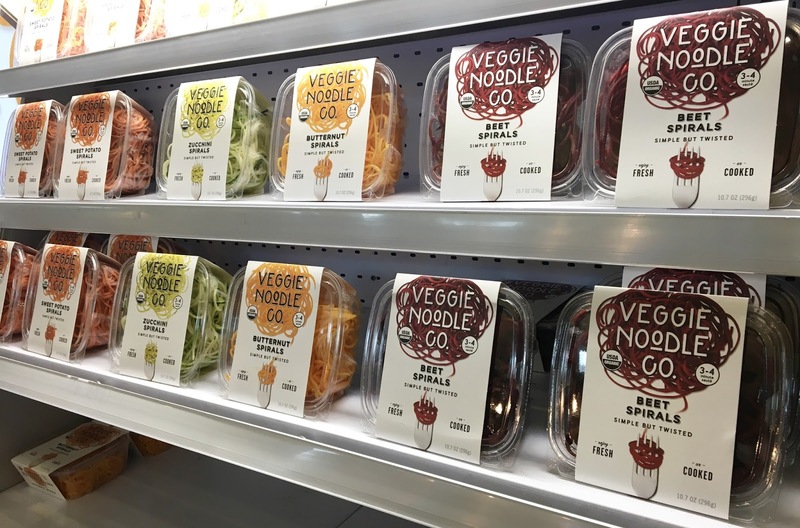 The broths are nutritious and delicious and the tomato soup and carrot soups are a delightful upgrade to your average canned soup variety. Here's the thing: I've been gluten-free and dairy-free for six years now and have so far been unable to find a frozen pizza that could meet my admittedly high standards. 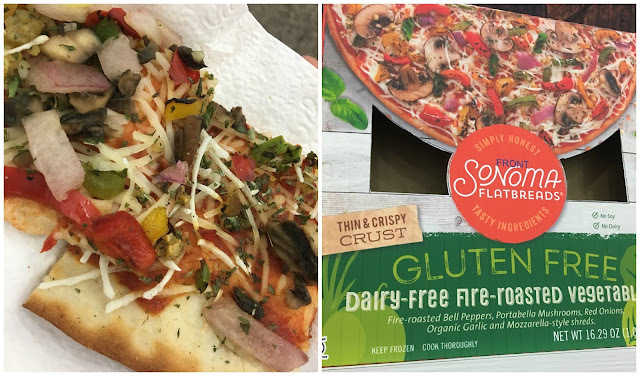 Sonoma Flatbread, a gluten-free frozen pizza company has finally done the impossible. With a crust that actually is crunchy, chewy, and holds up toppings effortlessly. The imported cheese, which is coconut based, achieves a creaminess (not stretchiness though) that came as close as I have ever tasted to "real cheese." I cannot wait to stock my dorm freezer with these once they hit store shelves! For the convenience, I often buy frozen veggies, which are horridly bland and repulsive. Path of Life's however infuse real, simple ingredients into microwavable culinary masterpieces. 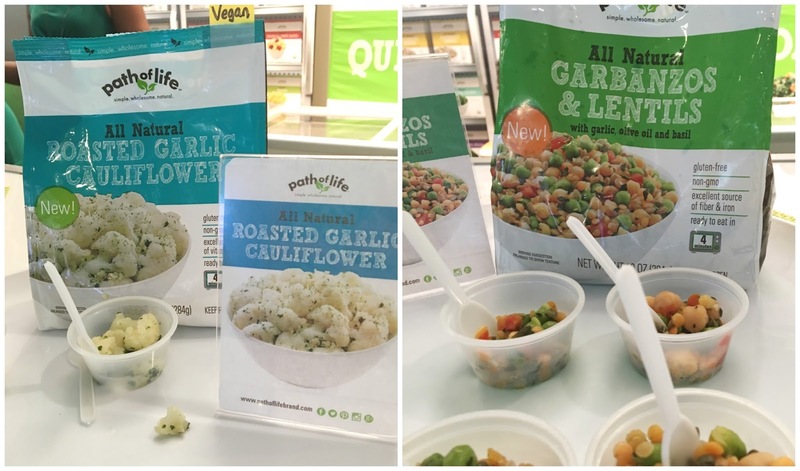 I enjoyed the garlicky goodness of their cauliflower and the protein-paced garbanzos and lentils with olive oil and basil. Easily they stand alone or could be a side dish in a more intricate meal. 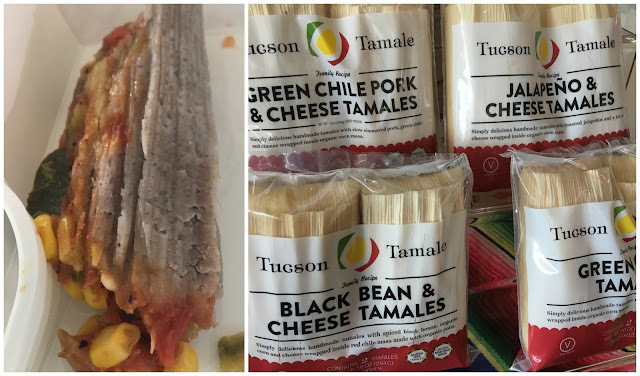 I am quite the tamale lover, so when I rounded an aisle to find Tuscan Tamale's booth, I was pretty psyched. Their vegan tamale features corn, peppers, tomato, and onion in a blue corn mesa. I love how they're made using the traditional method using corn husks, and that they are naturally gluten-free. 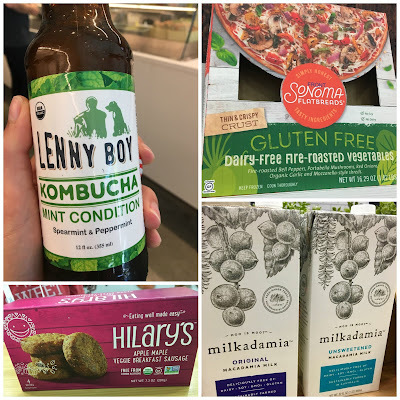 The vegan ones were the only non-dairy ones at the Expo but they also have safe cheese-free meat ones as well! 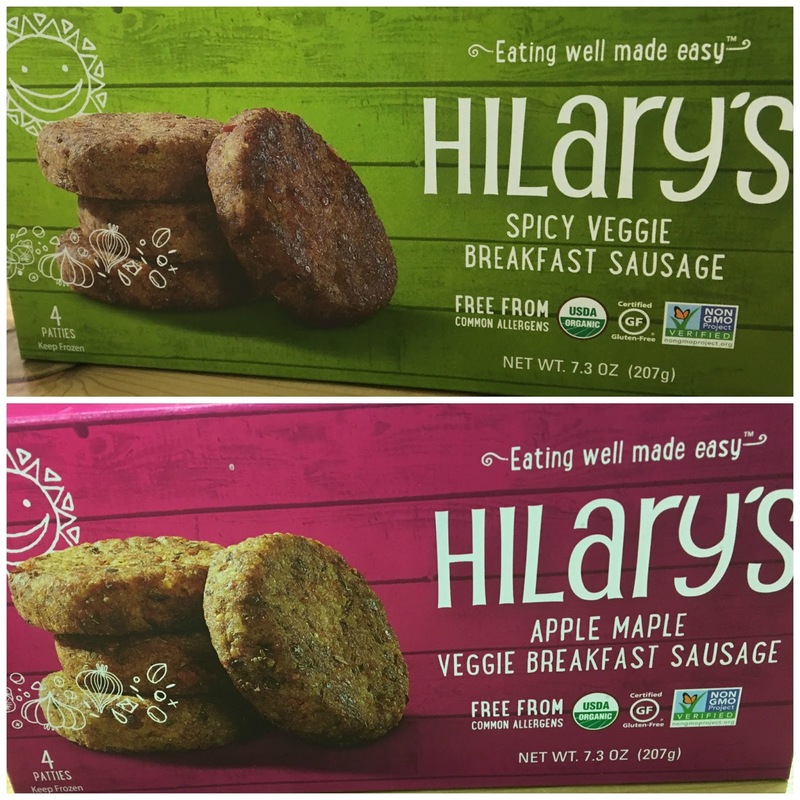 Hilary's has cornered the alternative meat market for me, and I regularly buy their burgers and bites precisely because they're soy-free in addition to being gluten and dairy-free. I have never been a breakfast sausage person, but I eagerly sampled this newest offering in both flavors: a bold and spicy veggie sausage and a sweet apple maple version. I liked the spicy better, but either would be enough incentive for me to hop out of bed in the morning. I aspire to be one of those people who spiralizes veggies into gourmet creations but I have yet to buy a spiralizer and have no time to spend creating zoodles. Enter Veggie Noodle Co, who eliminates the work of it, with ready-to-go cartons of veggie noodles that can be eaten raw or sautéed in 3 minutes to bring them to noodle-like consistency. They generously gave be a carton of zucchini noodles to bring home on the final day and I can attest that the noodles were both easy to cook and paired well with spaghetti sauce for a low carb meal that allowed me to "sneak" veggies into my diet (much needed after Expo East!). 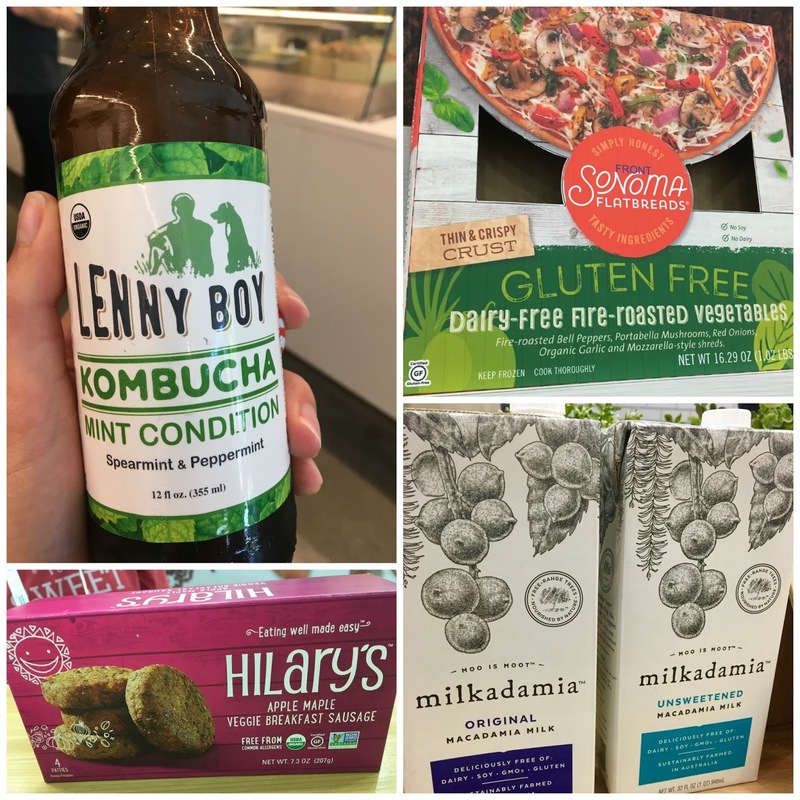 I've tried (and disliked) a lot of non-dairy milks to the point where they're all kind of blasé. 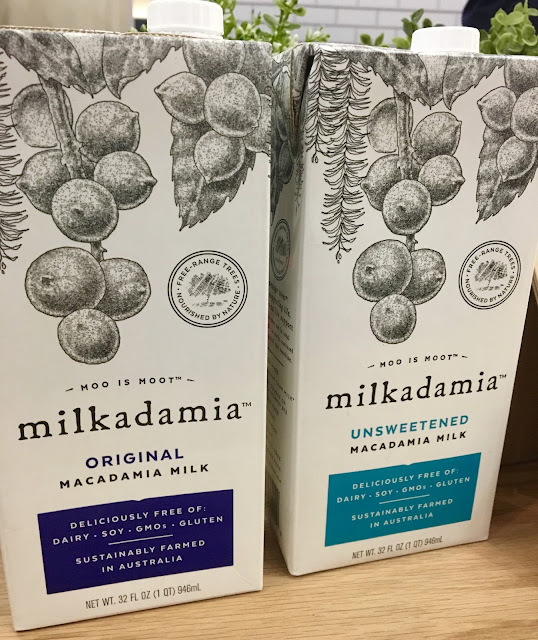 Milkademia however set themselves apart for the creamy smoothness of their milks and commitment to sustainable farming that benefits the Earth as much as your body. 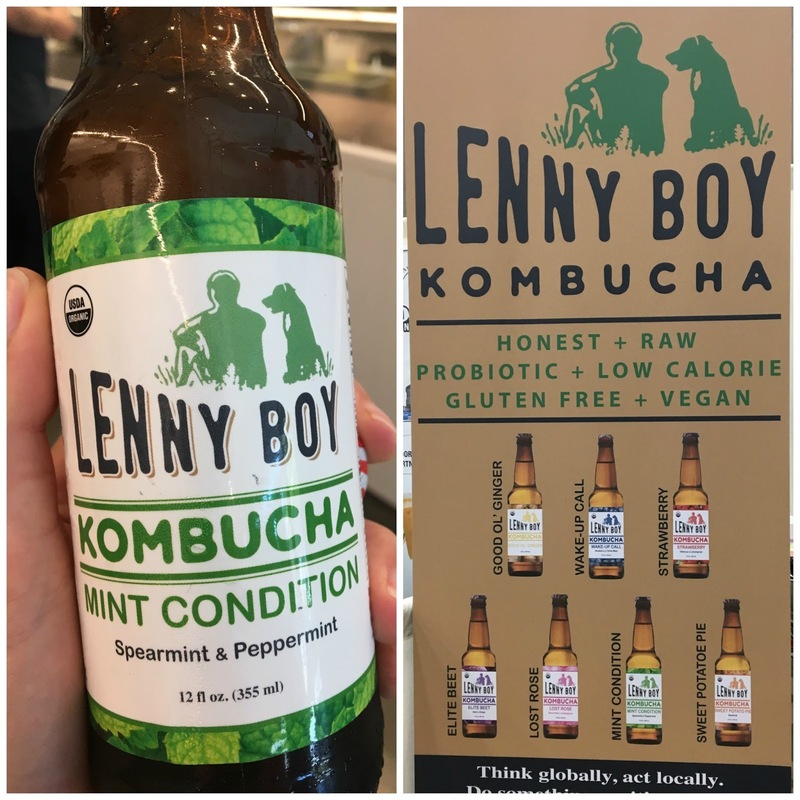 Free from dairy, soy, gluten, and GMO's, the drinks are shelf-stable and are drinkable on their own and incorporated into recipes. On my next grocery run after the show, I made sure to bring a quart of each home with me for my morning cereal and baking.